Now that I have another sweet baby in the house, it has been so fun making activities that my big kids and the baby all love. 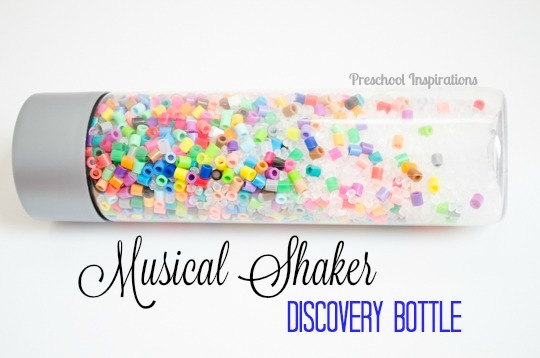 This musical shaker discovery bottle with beads has been a huge win for my kiddos. It makes a gentle sound when shaken, similar to a rainstick. The baby finds it irresistible. And the big kids love to make her giggle. Awww, these moments! Does anyone else ever wish the baby would never grow up!?! 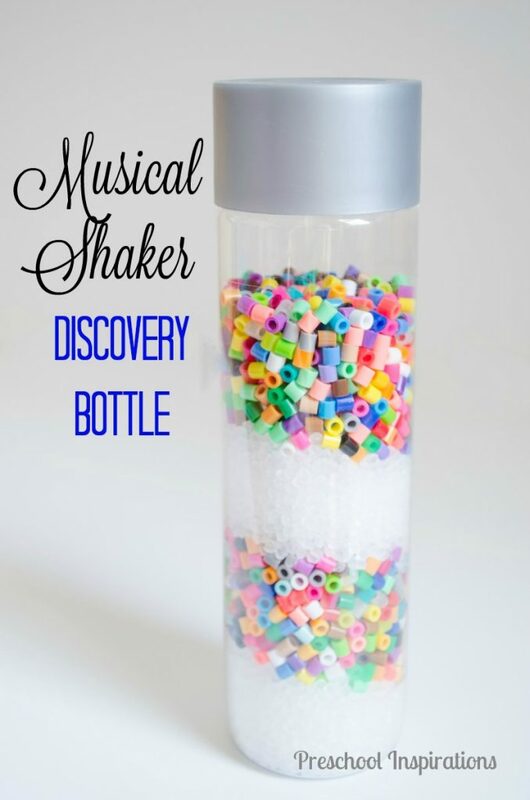 This musical shaker discovery bottle is super easy and extra fun to make! 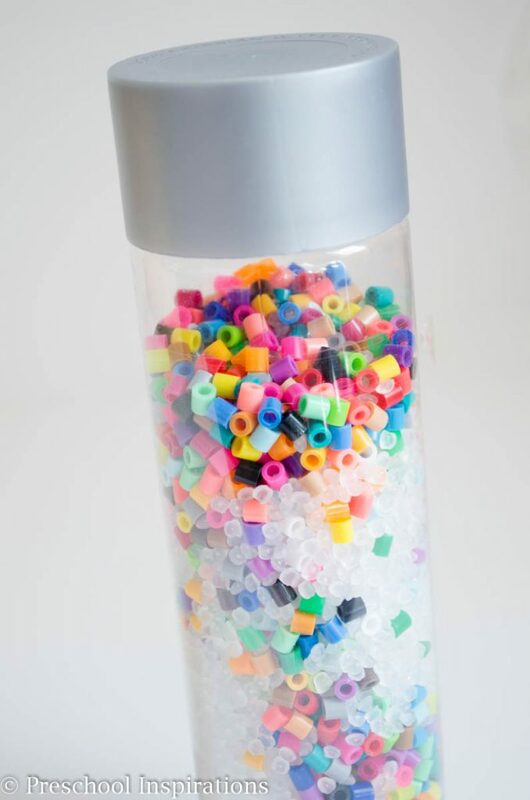 Using a funnel, layer the perler beads and poly-pellet beads. 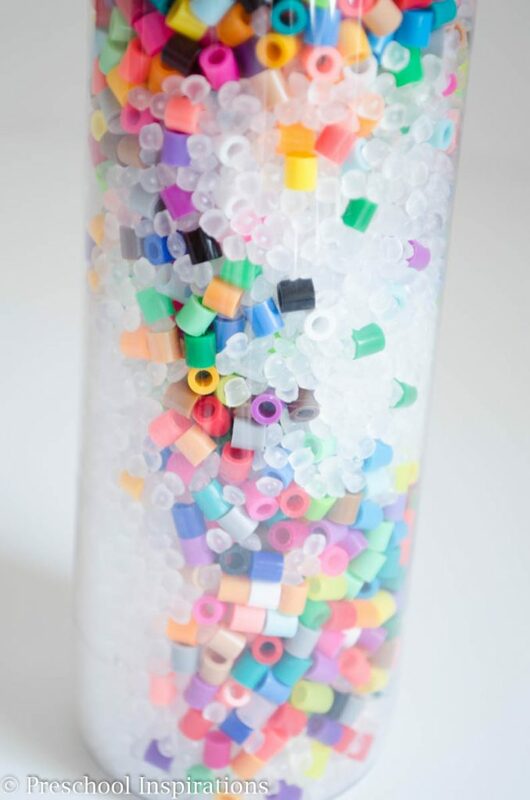 Leave about 1/3 of the bottle empty to give the beads room to roll around. 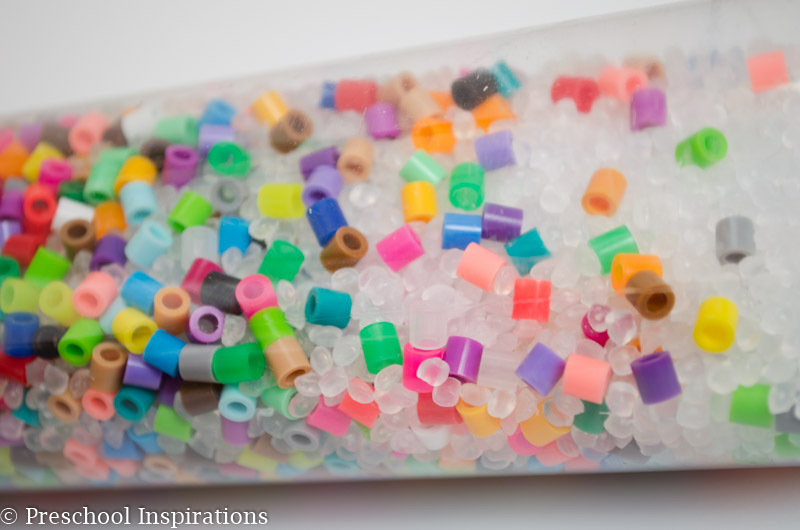 I started out with equal(ish) amounts of each the poly-pellets and perler beads, and it looked beautiful. I wanted it to be stunning though, so I added more poly-pellets, and it was exactly what I wanted. When it’s all finished, put some hot glue on the lid and screw it on. We definitely don’t want the little ones gobbling the beads up! Now is one of the best parts! Get your shake on, and watch the beads all blend together! Then you have a beautiful sensory bottle with a fun and gentle musical sound — it’s both a visual and auditory pleaser.